Trying to find wallpaper that is no longer in the stores can be a challenge. If you are a roll short or the wallpaper in your home has been damaged, sometimes it is necessary. This is a guide about discontinued Laura Ashley wallpaper. Does anyone know where I can purchase a discontinued wallpaper by Laura Ashley called Vittorio in the gold colour? There are online sites that carry discontinued wallpaper. Wallusa.com is one of them. Thank you. I will certainly have a look . I would look on E-Bay they have some. I am searching for two rolls of Laura Ashley Sweet Pea wallpaper. wallusa.com has discontinued papers. You can also go on eBay and put in an alert. If the paper ever comes in, they will let you know. Thank you so much for your reply. Wallusa does not appear to have anything in stock but I have emailed them and will try an Ebay alert. It is very kind of you to take the trouble. Have you tried searching on eBay? http://www.ebay  ashley-wallpaper They have a lot of Laura Ashley wallpaper but I am not sure if they're the style you are looking for. Also, on Etsy there are a lot. I believe this was a very popular wallpaper and overall bedroom favorite. so it may be difficult to find it but if it were me, I would put a note on my calendar to check Google once a month (Laura Ashley Sweet Pea wallpaper) and you just might get lucky as this will show you if there is any listed on any of these sites. I am looking for 1 roll of Laura Ashley Draper stripe sable wallpaper. People have had success putting want ads on Freecycle and Craigslist. You can also put alerts on eBay and Amazon. While I don't see a currently listing for the pattern (at least by name) on Etsy, there are (today) 37 Laura Ashley patterns listed on that site! Wishing you the best in your quest! There does not seem to be any of this pattern currently listed for sale but that could change at any time so you may have to set up a schedule to check eBay and Etsy every 2-3 weeks just in case a roll is posted. The only recent listing that recently sold was an eBay seller in the UK and she does not list very much but you could try contacting her just in case she happens to find another roll. Here is another shop in the UK that you might try contacting just in case they happen to have a roll. it appears that more Laura Ashley wallpaper is sold in the UK than in the US. I usually suggest to Google Laura Ashley wallpaper stores with zip code and either call or visit these stores to see if anyone has a roll stashed in the back somewhere. If nothing local then you can Google Laura Ashley wallpaper stores without zip code and start calling any store listed. This is time consuming but if you really, really want this pattern this may be the only way to find it. I'm looking for Laura Ashley Hampstead wallpaper preferably in linen or pewter. It was discontinued around 5 years ago. Any help would be appreciated, cheers! Does anyone have any spare rolls of Laura Ashley strawberry wallpaper or borders with the blue daisy flower? I need to finish my kitchen after some work has been done. I am desperate for 1 or 2 rolls. Thanks. Have you checked craig's list? Perhaps you might like to post an ad on a grocery store bulletin board. We have found many things we needed that way. You might also search online garage sales. I had been searching for an out of print book for a very long time and found one at an online garage sale. The funny thing about that is, the yard sale was in Germany! The seller was kind enough to ship me the book and accepted pay pal. It might be worth a shot to find this item. Have you found any strawberry wallpaper? As I desperately need some as well. Thanks. 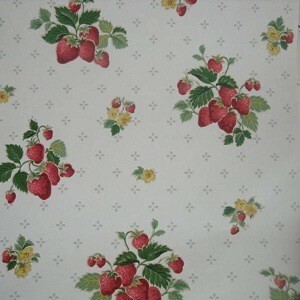 Discontinued Laura Ashley wallpaper, Josette Sable. I am looking for about three rolls to replace a damaged area. Once paper is discontinued, it is very hard to find. Put alerts on eBay and Amazon. Put want ads on Freecycle and Craigslist. I looking for 2 rolls of Laura Ashley Millwood Camomile wallpaper. Where can I get get it from please? Put alerts on eBay and Amazon. Put want ads on Freecycle, LetGo, OfferUp and Craigslist. Where can I find the Laura Ashley Hampstead Linen pattern wallpaper? I need 6 rolls. wallusa.com has discontinued wallpaper. You can also put an alert on eBay. I am looking for 1 roll of Crackle wallpaper by Laura Ashley. I am really hoping someone can help. 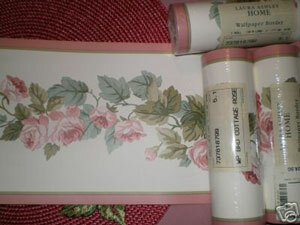 I am desperatly looking for 3-4 rolls of Laura Ashley wallpaper border. The pattern name is Cottage Rose. Thanks to anyone that helps. 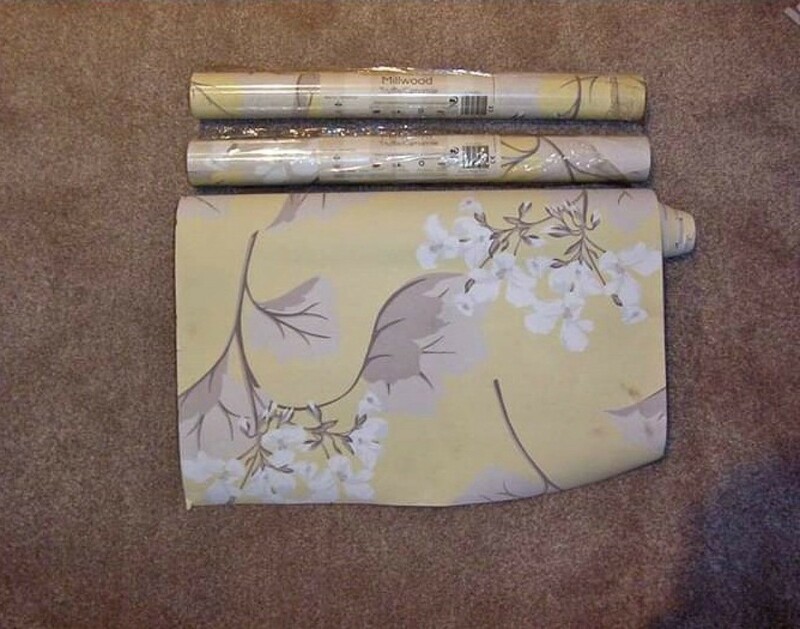 I am an Ebay seller who has 6 rolls left of this exact pattern. I will be listing them in the next day or so. My user id is above. You can search by seller under advanced search and find me. Thanks!